The way Natasha Lyonne sees it, New Yorkers are perpetually tempting fate — dodging the yellow cab, the Uber, the bicycle blocked from view by the double-parked truck. As Nadia, a computer coder on the cusp of 36 and at loose ends in the East Village, Lyonne attends a birthday party in her honour, leaves with a man, gets hit by a cab and then ends up back where she started — over and over and over. And between each untimely demise, she scours the city for clues like a modern-day Philip Marlowe, uncovering important lessons that need digesting before she can get along with, well, life. ‘Orange’ will become our O’Hare, and we’ll return there in new incarnations that can bleed out into new ideas. 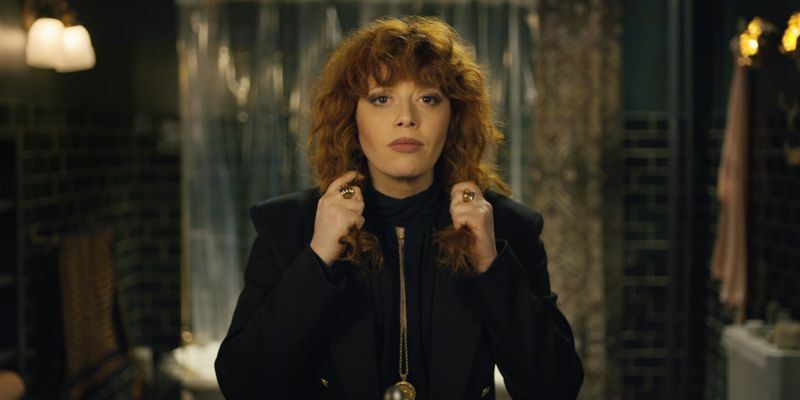 Created along with Amy Poehler and Leslye Headland, ‘Russian Doll’ is Lyonne’s first effort at writing and directing a series — one secure within the Netflix flock, where later this year she’ll wrap up her sentence as Litchfield Penitentiary inmate Nicky Nichols in ‘Orange Is the New Black’. But Lyonne is also venturing out of the safe zone: She and Maya Rudolph — who stars with Lyonne’s boyfriend, Fred Armisen, in ‘Forever’ — recently signed a first-look television deal with Amazon Studios for their Animal Pictures production company. 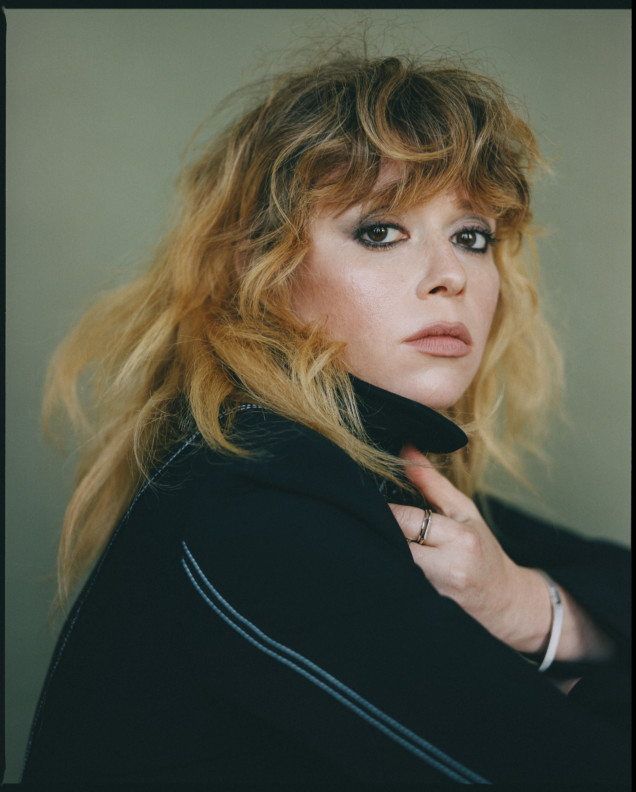 “I’m really eager and excited to get other people’s ideas out there because I’m a little bit, like, spent on self for a minute,” Lyonne said. At a photo studio in Tribeca, posing for the camera in a fearsome pantsuit not unlike the one Nadia wears, Lyonne, 39, talked about adding hyphens to her job description and ageing out of troublemaking. Q: So how did this autobiographical-but-not series come about? A: Amy called me out of the blue one day and said, ‘You know, as long as I’ve known you, you’ve always been the oldest girl in the world.’ And I’m like, ‘Is that a compliment?’ Cut to the end of the story: We ended up developing a show for NBC called ‘Old Soul’, in which I played a character named Nadia, and Ellen Burstyn played [a character based on] Ruth, my real-life godmother who lives in Murray Hill and spends most of her time at the Borgata in Atlantic City and is a high-roller but almost exclusively on the slot machines. Chain-smoker, Carltons. So when that show did not get picked up, it was almost like a paid investigation of what would become ‘Russian Doll’. Q: What’s it like handing off your ideas to an all-female writers’ room? A: In an amazing way, the first thing that goes out the window is the trope of a woman. Everybody is a vulnerable, complex person, but I don’t think that the ways in which we exhibit that are in any way how our stories have been told traditionally. Q: How fun was it thinking up ways for Nadia to die? A: There’s probably a bit of a misconception around how key the deaths are. It was more an emotional story of bottoming out. There are metaphorical deaths big and small throughout the day: There are the bigger ones where you just feel like your whole world is collapsing, [because of] health or a relationship falling apart. Then there’s the smaller deaths of the text message that didn’t get responded to that you’re obsessing on, and it feels like you’re suddenly a hollow man inside. Q: Let’s not forget those street-crossing hazards. A: I’m definitely a real criminal jaywalker. I’m happy for the environment that we have bicycles now in the city, but it’s unmanageable. You don’t know if they’re coming from this side or the other side. It’s way too zany. No longer is there this elegant kind of Richard Hell sort of Lou Reed lazy amble through the city as you cross the street, looking over your shoulder like a cool guy. They’ve killed that entire rhythm to Manhattan. Q: I don’t want to spoil anything, but you’ve cast Chloe Sevigny in a very personal role. A: Chloe is my closest person in life, and there was really only one person that felt like it was safe to entrust that role to. Probably the most incredible moment for me was walking home with my little director’s binder in the East Village and watching the sun begin to rise. And I’m like, this is a very different kind of sunrise than what I’ve experienced historically at this hour. This was the good guy’s version of that, and it was deep stuff. Chloe and I had walked those streets so many times, and now it was this world that we had built. There was a lot of gratitude. I just couldn’t believe how things have turned out. Q: You’re turning 40 in April. Are you planning a party? I hope that there will be a party. Honestly, it was waylaid because the prices of New York rental spaces are so extreme that I was like, do I look like a Rockefeller? I don’t drink or anything, so something that would give you the sensation that your brain was melting, but I don’t know how to get there. I’d just like to be around some friends and some nice music and take it easy. I’m so happy to be growing up. I can’t believe how much easier it is to be an adult person as opposed to a troublemaking tween. Q: ‘Orange Is the New Black’ will end later this year. That must feel pretty traumatic. A: What’s amazing is that these scenes are so heavy to play, and it comes so easy at this point, just because we’ve lived in the bones of these people for so long. My hope would be that a good group of us continue to find out where we have a hub. ‘Orange’ will become our O’Hare, and we’ll return there in new incarnations that can bleed out into new ideas. We really have our little tribe now, our allies for life. But yeah, it’s going to be very emotional. Q: In November, you were an answer in a New York Times crossword puzzle and you wrote on Instagram, “Please put this on my tombstone.” What would you really want your tombstone to say? A: I’m glad you think I’m going to die later today and that you have information that I clearly don’t. [Laughs] So far, that’s my best idea, but I’m hoping to beat it within the next few weeks. And I’m not so concerned. The tombstone, one hopes, it tells you what it wants to be. Russian Doll will stream on Netflix from February 1.